Chillscape is kind of a relaxing game mixed with relaxing music and relaxing soundscapes. The idea is that you play it in order to slow down and chillax. Yes, I said “chillax.” It’s all good, man. 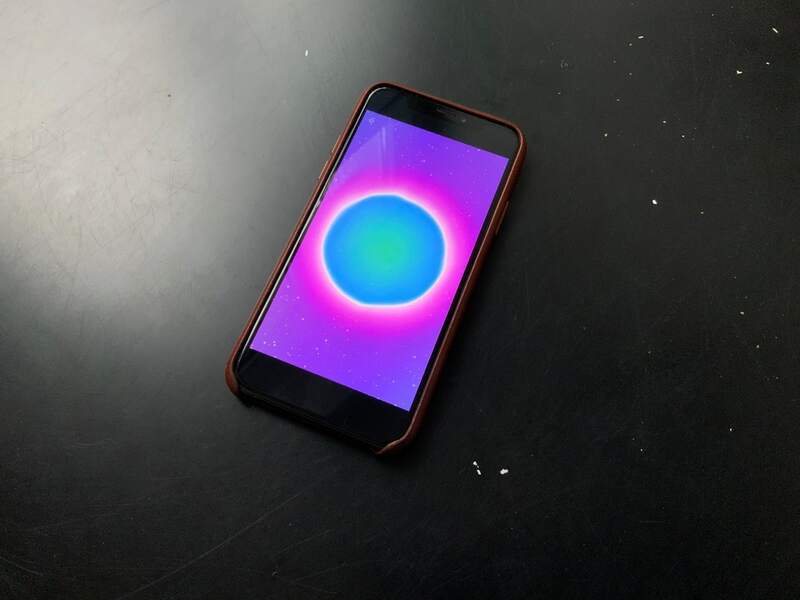 The app begins with low womb-simulating sounds, while bubbles drift across the screen. Tap the bubbles to pop them, and melodies are added to the soundscape. All the while, a gently-slowing rhythm underlies the whole experience, which forces you to be calm by gently slowing your heart rate as you play. Darkroom, coming to an iPad near you. Photo: Darkroom, coming to an iPad near you. Darkroom is a fantastic photo-editing app for the iPhone, but it’s only for the iPhone. That’s about to change, with a new iPad version that will take advantage of the big screen. 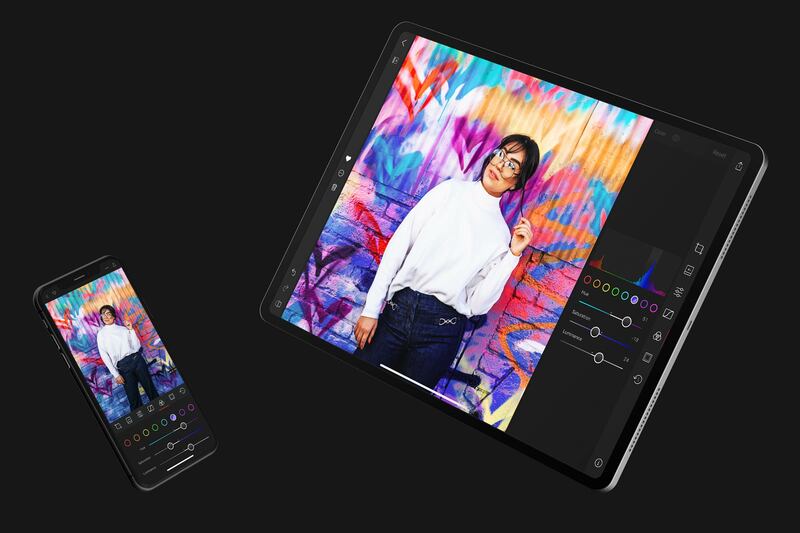 One of Darkroom’s best features is that it can edit Portrait Mode photos, letting you apply different edits to the background and foreground — darkening only the background, for example. Soon you’ll be able to do that on the iPad too. Stagelight is fresh and powerful. 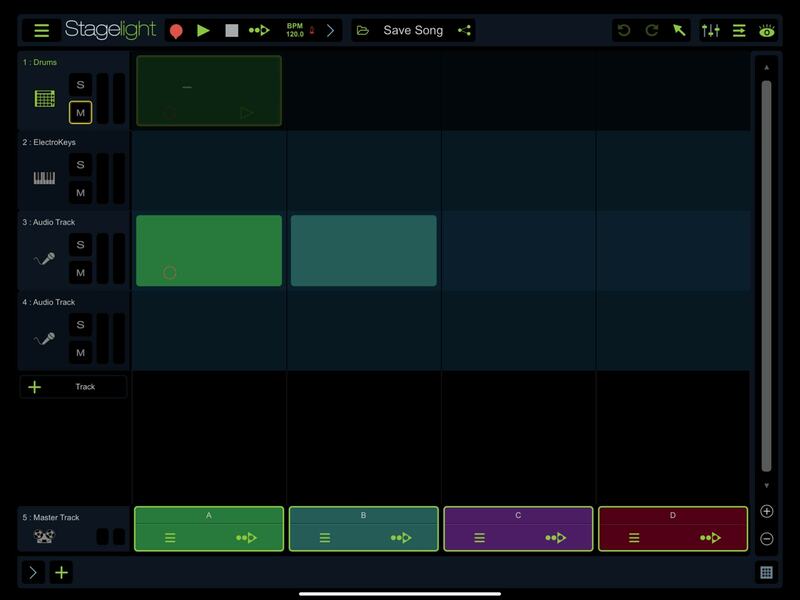 Stagelight is a DAW (digital audio workstation) for iOS. You may have used it already on Android, Mac, Windows, or in Google’s Chrome. Stagelight for iOS is pretty great. Like GarageBand, you can record audio and MIDI tracks into a standard timeline view. But you can also use a kid of loop mode, where every clip you record is kept in a container that lets you loop parts, and easily move things around. It’s a different approach to GarageBand, and that’s what makes it so interesting. It’s also free to download and use, with in-app purchases for “content.” Check it out. Castro sideloads way more easily. 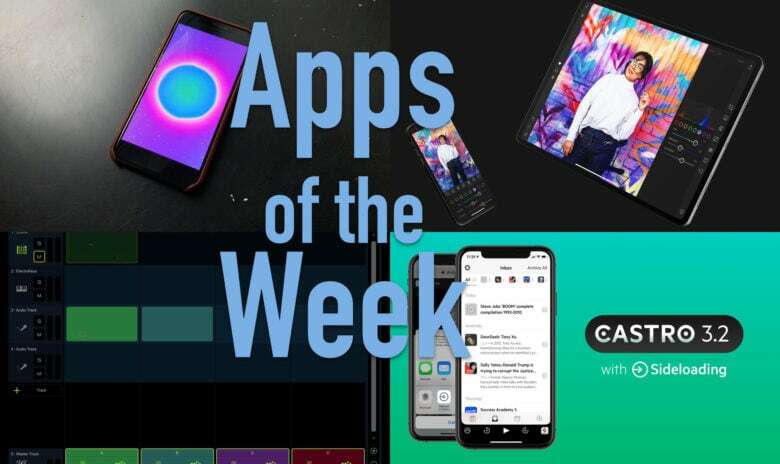 Castro is one of the top podcast-listening apps on iOS, and it’s one with a unique feature. Castro lets you sideload audio files. That is, you can take any audio you find, anywhere, and add it to your podcast queue. Did you ever have to listen to a lecture recording? Or maybe you downloaded an MP3 audiobook and didn’t know how to get it onto your iPhone? Then you need Castro. 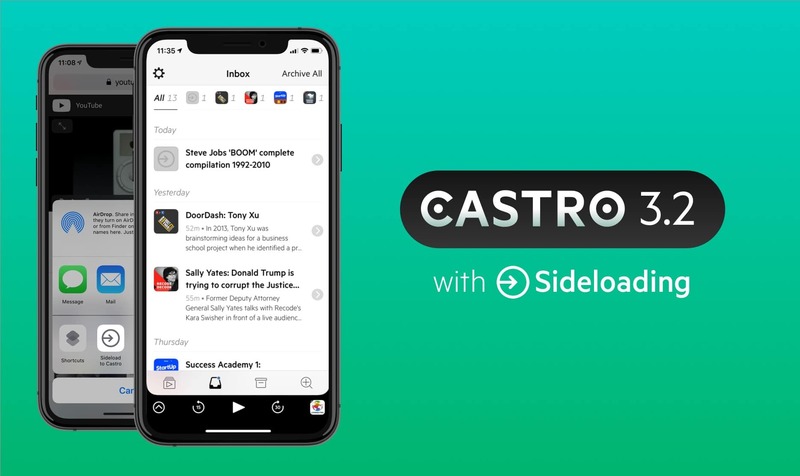 Castro has had sideloading for a little while, but now it has a hare extension to make it easier. Previously you had to save the audio file to the Castro folder on your iCloud Drive. Now you just share it into Castro, straight from Safari. The extension can also grab the audio from any YouTube video you share to it.